The main entrance to the Orang Asli Craft Museum. 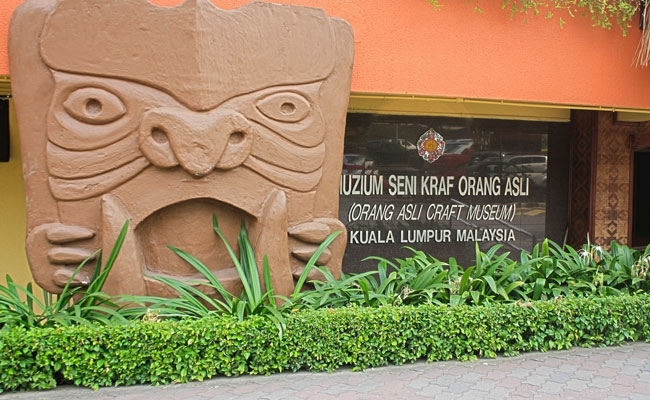 Orang Asli Craft Museum (Muzium Seni Kraf Orang Asli) is located at Jalan Damansara, next to the building of the National Museum, Kuala Lumpur. 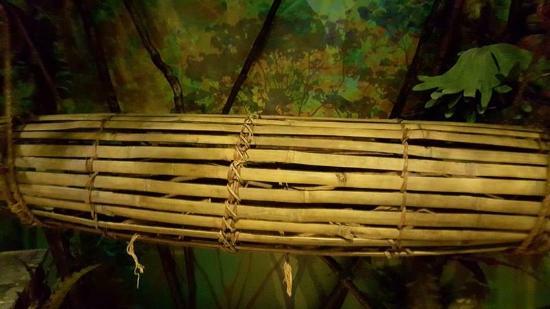 It is different with Aboriginal Museum, in Gombak, Selangor. As the name implies, it's intended to introduce the art of aboriginal craft in addition to other matters related to the culture of within these communities. Apart from the craft items it also shows the connection between the items and the life of the people through their stories of myths and legends, culture and beliefs. The exhibits are on permanent display and some exhibited seasonally. 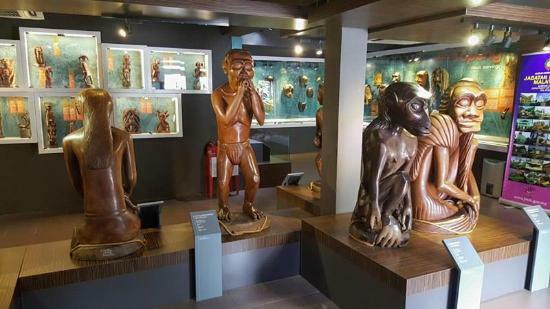 The galleries which have been enlarge, are divided into eight segments which show the life of the aboriginal, which includes background of tribal natives, geographical distribution and demographics, sculptures, carved masks, traditional residence, hunting equipment and fishing, mortality, musical instruments, accessories and woven garments. All the materials are delivered using a variety of methods including the use of multimedia to further ease the process of learning about the lives of the indigenous people of this. 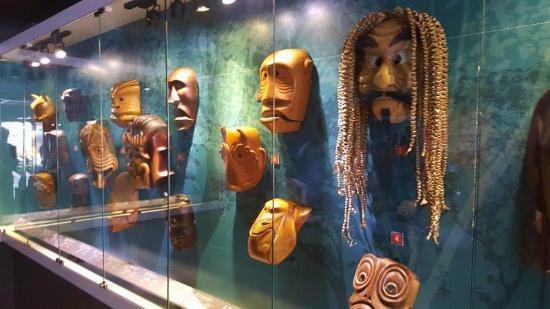 Collection of masks on display. Wood carvings by indigenous communities. Visitors can take a taxi or bus KL HOP-ON HOP-OFF, free bus (Go KL) or other alternative transportation based in KL Sentral Station, the commuter, LRT, monorail or walk for 20 minutes. You also will have opportunity to use the MRT service when it opens later.